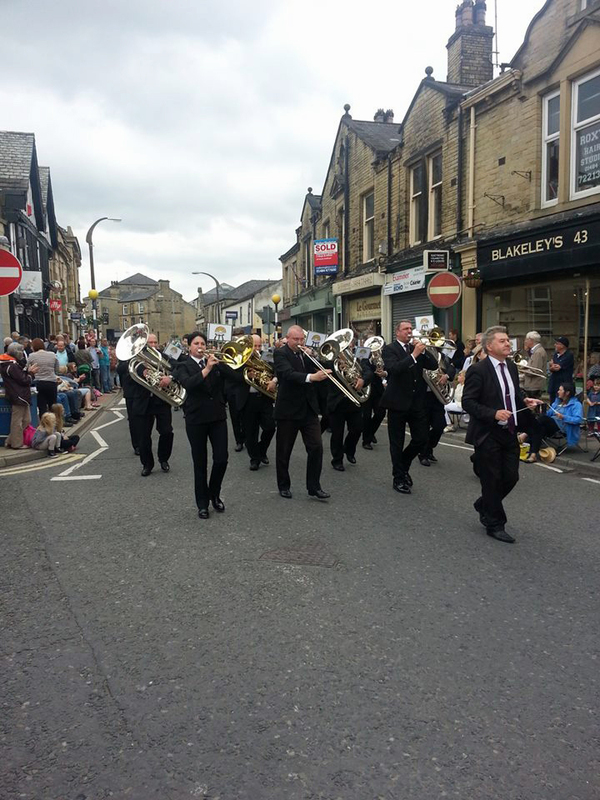 The Skelmanthorpe Band concluded their March and Hymn tune season amongst a tough field of 25 bands on Sunday 30th June with a reprise of their programme from Morley two weeks earlier. The Band marched down ‘Bethel Street’ to a tune named after the road, written especially for the contest by composer in residence Andi Cook. Bands from North Yorkshire to North Wales and everywhere in between travelled to compete this year and as results were announced, the way the prizes were being shared out demonstrated just how closely run the contest was. Skelmanthorpe once again won the prize for ‘Best Hymn’ with a rendition of ‘Praise my soul’ by Andi Cook and were also rewarded for having the best trombones on the road march. Overall the band were placed 4th finishing behind a Marsden Band that were spurred on by their defeat a fortnight previous as well as contest march winners Northop Silver and Yorkshire Imps.